How Are You Filling the Content Cavity on Your Dental Website? Are you struggling to attract new patients to your dental website? Have you ever wondered why some websites are killing it with traffic and conversions, while yours limps along on life support? There are lots of ways to increase your visibility online. You might need to update your dental website design, for example. Or maybe you haven’t put much thought into your social media activity. But one of the most important steps you can take is to develop and implement a compelling content marketing strategy. Content marketing uses targeted, valuable content to attract a specific audience. Instead of relying on ads to grab attention, content marketing uses strategic website design, a carefully crafted content plan, and intentional content distribution to draw people in and persuade them to take action. And it’s taking the internet by storm. When a patient walks into your dental practice with a toothache, you don’t just immediately start drilling willy-nilly. First, you take an x-ray to determine the cause and extent of the damage. Next, you create a plan based on what’s wrong and how serious the problem is. Only once you have all the right information and a plan in place do you begin filling the cavity. That approach works for content marketing, too. Patient Personas. Who is your ideal patient? How much do you know about them? Patient personas help you identify the interests, goals, and challenges of your ideal patients so you know what kind of content they want. Your Website. Will your website support landing pages, blog posts and social sharing? Has it been designed around an excellent patient experience? Can people easily find what they’re looking for when they visit? Social Media Channels. Where do your ideal patients hang out online? Have you created social media accounts on those venues? How does your follower based look? Next, start brainstorming about the topics you want to address. This can be the hardest part of the process—but it doesn’t have to be, especially if you did your homework when your created your patient personas. What topics are your patients most interested in? What will pique their interest and entice them to click? Focus on questions they might have, problems they might experience, or ways to improve their dental health. You can also check out other dental blogs for ideas—but be sure to create your own unique content that pertains to your practice and audience rather than copying directly! Follow SEO Best Practices. Start with a solid SEO structure for your website. Research long- and short-tail keywords to improve your organic search rankings, and learn how and where to use them so they boost visibility. And use local SEO to build awareness for your physical location. Focus on Benefit to the Reader. Your patients most likely don’t want to know all the technical details of your new x-ray machine. But they might want to know five ways to prevent cavities in toddlers. Use your patient personas to choose topics your patients will read and share with others. Use Social Media Effectively. Use social media to engage with followers and reach new prospective patients. Learn which kinds of content perform best on different social channels. Create Segmented Email Lists. Email newsletter open rates skyrocket when you segment your lists based on the needs and interests of your audience. Promote Content Across Multiple Platforms. That video you created may perform really well on Facebook, but don’t forget to share it on your website and in your next newsletter as well. It takes a long-term commitment to realize the true potential of content marketing. Hopefully you’ll see an immediate uptick in traffic, but your true return on investment (ROI) may take a few months to show up in metrics. But don’t let that discourage you. Content marketing flows out of the increasing demand for relevant content online—and that’s something that isn’t going away. 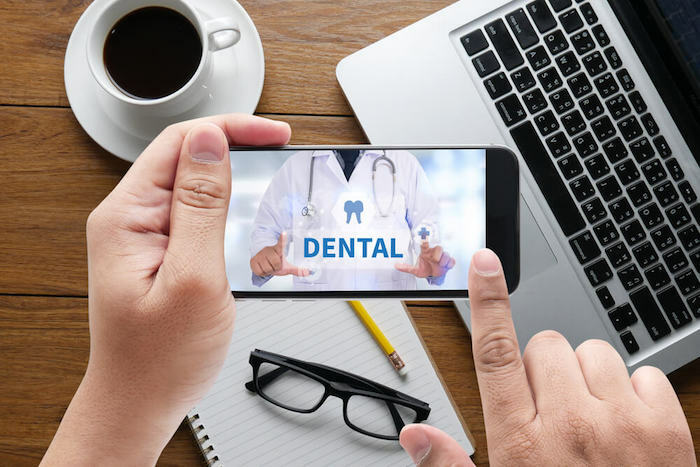 Do you need help updating your dental website design or building out your content marketing strategy? Contact our inbound marketing experts to get started today!